Line baking trays with baking paper. Place one sheet of pastry on each tray. Leave a 2cm border and spread the pastry with the mustard. Cover half the pastry with a third of the grated cheese, a third of the sun dried tomatoes and one third of the apsparagus spears. 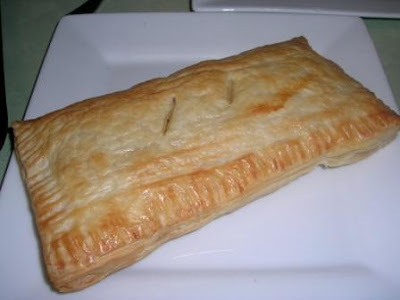 Fold the pastry over to enclose the contents and use a fork to press the edges of the pastry together. Cut two slits in the top of each pastry for ventilation. Brush the top with beaten egg. Repeat with the other pastry and ingredients. Bake turnovers in the oven for 25-30 minutes until puffed and golden. Allow to stand for 5 minutes and serve with salad.